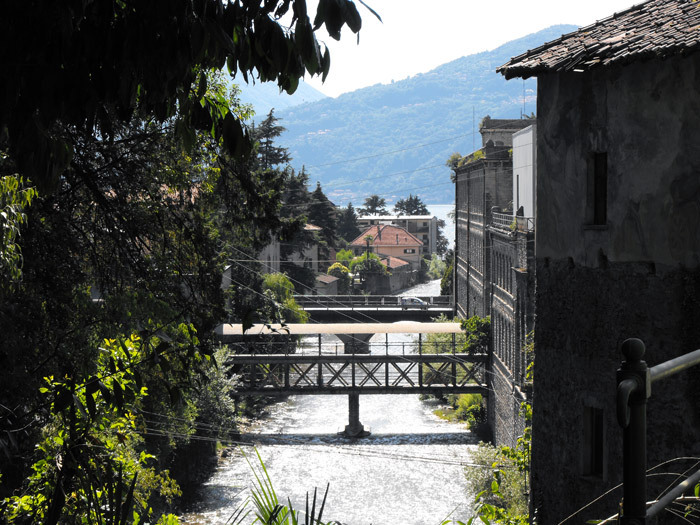 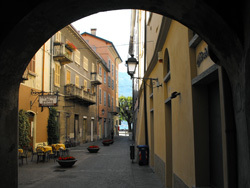 Bellano is just a few kilometers from Varenna toward Colico, and it stands on a cape, where the vast panorama embraces the lake's western shores, from Menaggio up to Dongo. 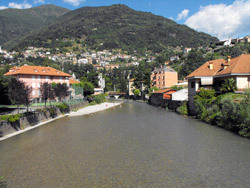 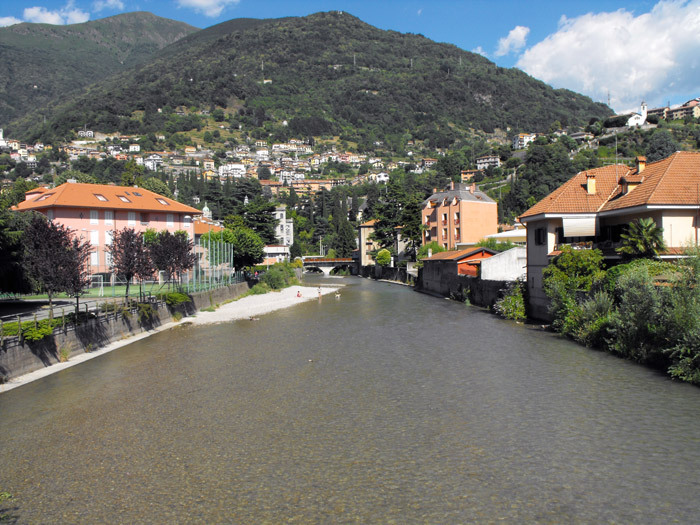 Bellano is famous for l'Orrido (Ravine) a gorge formed by the waters of the Pioverna torrent, which by erosion dug a deep ravine in the stretch from Taceno in Valsassina to Bellano. 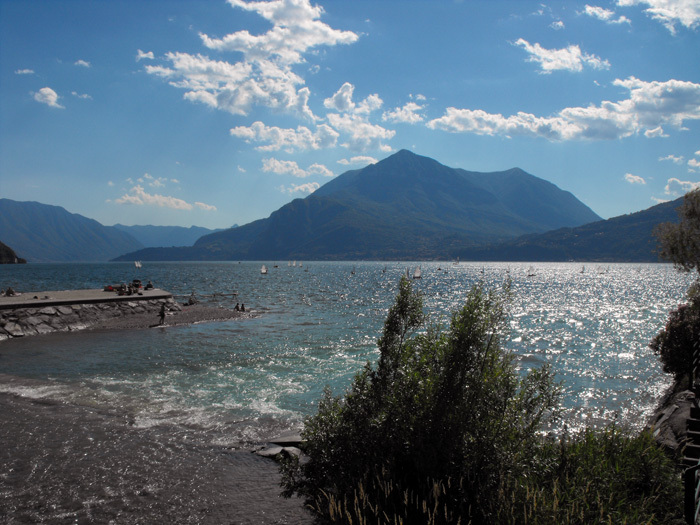 Bellano saw dramatic occurrences throughout its history, the Valtellina armies wanting to reach the Po Valley travelled the Valsassina from north via Bellano to south via Lecco. 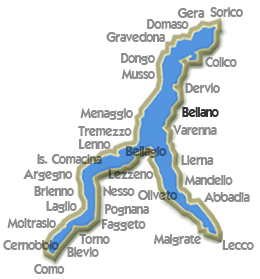 Fighting occurred around Bellano during the wars between Como and Milan (12th century), between Visconti and Venice (1447), between Medeghino and Sforza (16th century) and during the passing of the Lanzichenecchi bearers of the plague (1628). 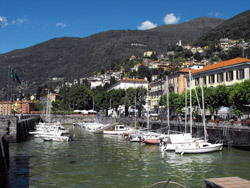 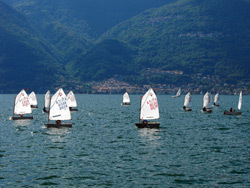 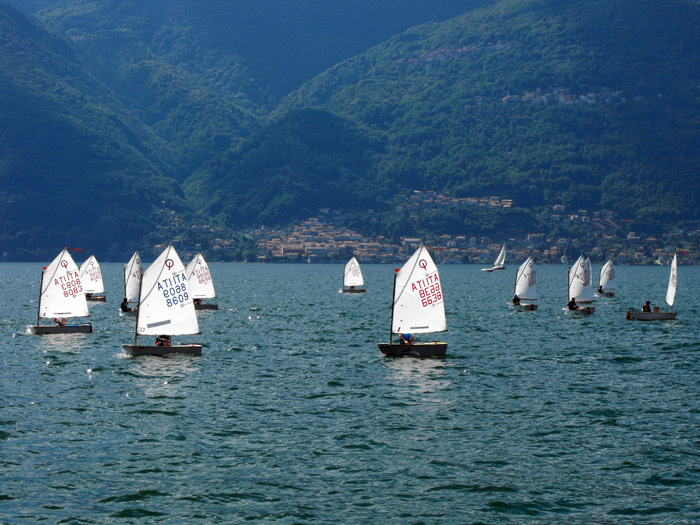 For centuries the Bellano harbor was the Lario area's largest and most important harbor. 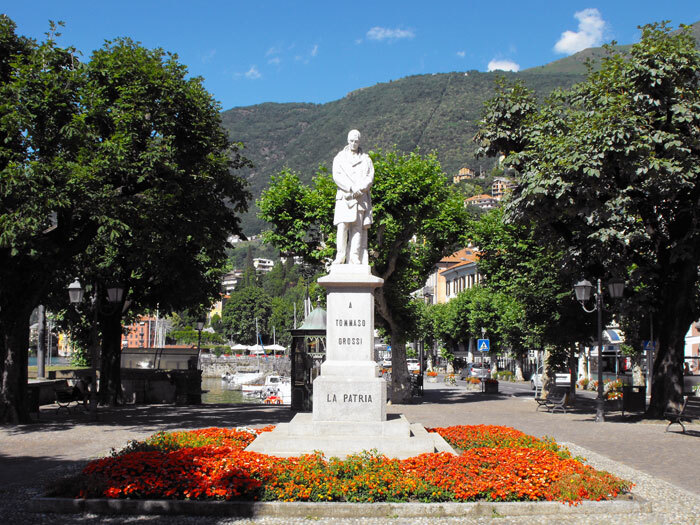 Bellano's most illustrious son is Tommaso Grossi (1790-1853), known for his historical novels: Marco Visconti, and I Lombardi alla Prima Crociata, and for the respect that Alessandro Manzoni had for him. 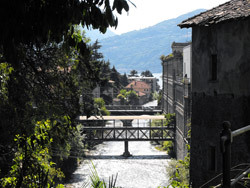 Among contemporary famous people we cannot forget writer Andrea Vitali born there 1956, winner of the Bancarella award for the novel La figlia del Podestà. 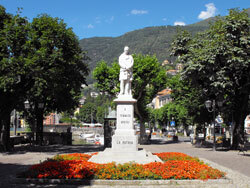 Bellano is a first-class cultural center, here the town organizes an opera festival every August which attracts hundreds of spectators. 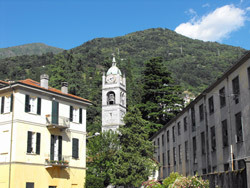 There are numerous churches in the villages spread across the hills: the oldest temple is Saint Nicolao (13th century), now deconsecrated and used for exhibits and cultural events, next is The Parish of Saints Nazaro and Celso with its Gothic black and white facade, built in 1348 by Giovanni Ugo di Campione and architects from Valle d' Intelvi. 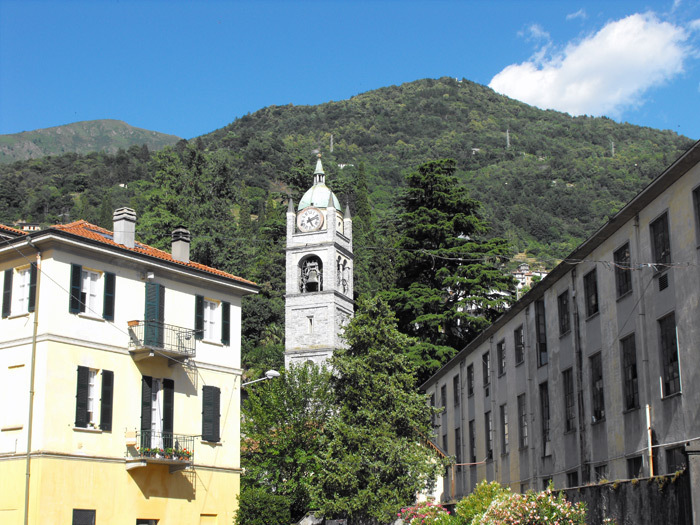 Bellano is an excellent departure point for many trips around Valasassina and Valle di Vendrogno, surrounded by the cliffs of the Northern Grigna mountain.